Looks like the Grinch has already stolen Christmas in Rwanda, as the Belgian state media are reporting. Belgium will not release an amount of 40 million euros in development aid to Rwanda, an “incentive tranche” that the [Ministry for] Cooperation linked, in addition to other intended amounts, to the realization of a certain number of conditions such as good governance and respect for freedom of the press. Minister for Cooperation Alexander De Croo decided not to grant these 40 million euros, as the VRT [Flemish state broadcast network] reported Sunday. So is this a Croo-el move? It’s hard to say. Rwanda should be encouraged to make the sort of progress in the behavior of its government of the types mentioned, but it’s hard for outside observers to reach any independent judgment as to whether this denial of money is justified. Perhaps there is too little international press coverage of the country generally; perhaps it’s also true that the progress being measured is a subtle thing. OK, we can recognize when freedom of the press has taken a hit, but remember that that is being judged not absolutely but relatively, i.e. in comparison to what it was before. Who other than the bureaucrats of the Belgian Ministry for Cooperation knows anything about that? Probably more important to keep in mind is that this €40 million is just something extra to the development aid monies that Belgium is sending to Rwanda with no such strings attached: €160 million over the four years 2011 to 2014. In effect, then, that missed bonus is another year’s worth of payment. Most important to keep in mind of all is Belgium’s history in Rwanda. From 1884 it had been a German colony, but was taken over by Belgium after World War I. Belgium authorities were after all right next door in the Belgian Congo which they governed in a particularly notorious and exploitative manner. That track-record could not have been good omen for Rwanda; a particular mistake on their part, though, was the identity-card system they introduced in 1935, which labeled people by tribe and so cemented and probably worsened the Tutsi vs. Hutu antagonism there. 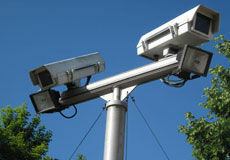 This would help lead to the infamous Rwandan Genocide of the mid-1990s. 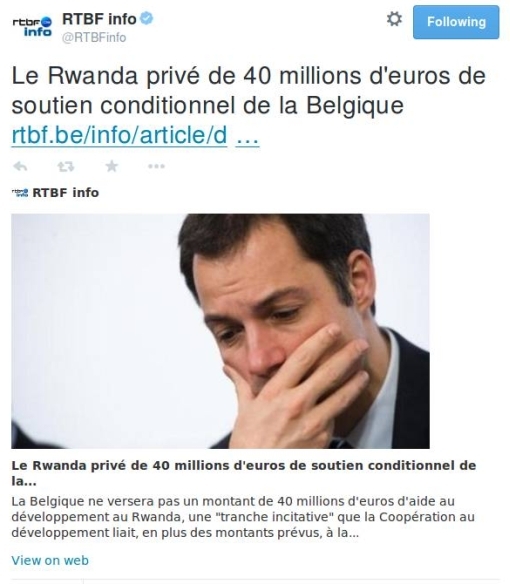 So yeah, it’s good that Belgium assists Rwanda with some €40 million a year. You’d even think the Brussels authorities would cut them a break and give them their additional €40 million bonus, even if undeserved. 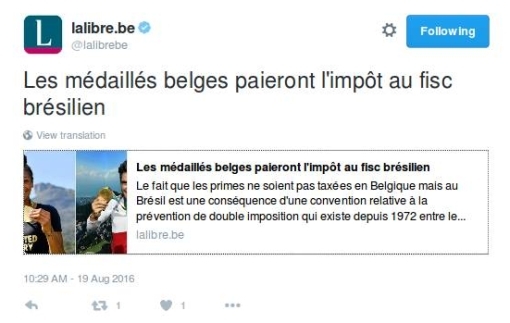 The deep societal divisions between the two different halves of Belgium have long ceased to be much of a secret. I mean here of course the Dutch-speaking Flemings on the one (North) side and the French-speaking Walloons on the other (South; complicated by the mostly French-speaking Brusselers as third party). This was initially a sore point due to the long dominance of a Walloon elite over the entire country – so that, canonically, French officers issued orders to Fleming soldiers during the First World War that they could not understand. But the fissure was aggravated after World War II when Flanders became the region that was not only more heavily populated but also much more prosperous – and thus contributing more to the common governmental coffers. It’s the “conservative” party (i.e. friendly to business) which nonetheles has set as its goal the eventual secession of Flanders from Belgium – the New Flemish Alliance party – which now dominates the political scene in the North. Flemings and Walloons underestimate the sympathy and overestimate the anger towards each other. That is the result from a multi-university study. All very fine, except for one thing: This study was carried out in 2010 and 2011! Now, the leading researcher justifies that in the article by pointing out that that was the period when Belgium was stuck in a particularly grating political crisis. Just to spell it out: From 26 April 2010 to 6 December 2011, a period of 589 days that set the record among developed-world nations, the country was without a proper head-of-government because the kaleidoscope of Belgian political parties (ranged left-to-right by ideology, but also cross-indexed by language) could not agree on how to form a government and choose one. So it’s true that was an especially exasperating period, and it is good to see that the separate sides of the country did not hate each other as much as everyone assumed. But that was then; this is now. Surveys like that of public attitudes can’t be expected to have much of a shelf-life, before they begin to smell from the rot of past-sell-date. Why do we see this now, then? It must be for some sort of propaganda purpose. For what it’s worth, it’s in De Standaard, considered to be the paper-of-record (i.e. the “New York Times”) there in Flanders. Tell you what: Forget the surveys, show me a new Belgian prime minister being chosen reasonably promptly after the results of that federal election are known, and I will then agree with you that the Flemings and Walloons have learned to get along! 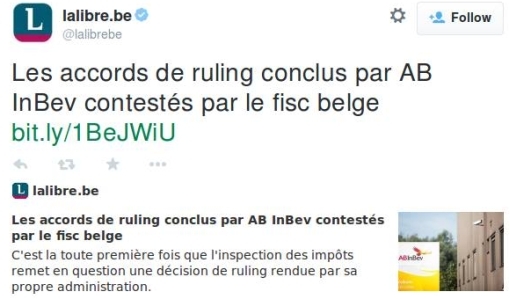 OK, so you shouldn’t expect any new Belgian government just yet. That “breakthrough” I discussed in my last post still seems legitimately to have been just that, it’s just that a new government still has to be formed. The Constitutional Convention has done its work, you could say (by way of American analogy), but an actual government does still need to be cobbled together from a selection of Flemish and Walloon parties. That exercise should not present too much of a problem, now that the main issues that had separated Flanders and Wallonia have been dealt with. That also means formateur Elio Di Rupo doesn’t have to be so diplomatic anymore. He seems a rather calm and patient man – indeed, such qualities were a prerequisite for making any progress towards resolving this intra-community stalemate – but even he couldn’t resist recently telling Flemish television – as picked up by the newspaper De Standaard – who he feels really got in the way of his work and made it take sooooooo long. No surprises: it was the Flemish N-VA party headed by Bart De Wever, a party whose stated goal is the eventual (and peaceful, and gradual) secession of Flanders from Belgium. Di Rupo claims to have gotten “zero results” out of De Wever during the long course of negotiations. He also disputed De Wever’s claim that the new governmental accord serves to harm Flemish interests. After all, the other Flemish political parties* signed up to it. Surely four out of five parties cannot be wrong! * If you’re interested, they are: Open VLD, SP.A, CD&V and Groen! Note that all punctuation, including Groen!’s exclamation-mark, is as found in the original name. Word is coming out now via Flemish radio that Belgium’s long (indeed, record-breaking) wait for a proper government may finally be coming to an end. Not only have all relevant political parties now reached an agreement on how to proceed further, but what has been achieved indeed seems to take the form of no less than a major revision of the basic constitution under which Belgium is governed. “The Belgium of tomorrow will look entirely different” announced today Elio Di Rupo, the formateur who had labored for months at the assignment of King Albert II to try to form a new government. But the political differences were so deep between the Dutch- and French-speaking parts of the country, on a number of issues, that nothing less than this sort of thorough-going transformation of the functions of Belgian government at all levels – in finance, in division-of-powers, etc. – was necessary to break the impasse. For example, apparently the Belgian federal Senate will be transformed a body designed more to represent as three blocs the three “states” – Flanders, Wallonia, Brussels – that make up the country. If you’re as excited about this as I am, and can read Dutch, then the full text of the new agreement is available for you on-line. Otherwise, I’ll see if there is anything further to report on this development – i.e. that isn’t boring and/or overly provincial; there may be nothing else – and bring it up here. Today is once again Belgian National Day! A day off work! Military parades in Brussels! General joy and jubilation! Or not. At least not that last part, for it’s hard to get very enthusiastic about a country which a while ago broke the world record for operating without a proper, approved government after its last elections (which happened at the beginning of June, 2010). Instead we have newspaper editorials marking the day like the one impishly offered by Liesbeth van Impe in the Nieuwsblad, entitled Fear and Cynicism. And as the latest in a long line of formateurs (politicians appointed by the king to cobble together a workable governing coalition), a bow-tie-wearing dude called Elio di Rupo, finds himself having to deal with squabbling political parties and scheduled negotiation-meetings that fail to convene, the prospect continues to hang over the country that a split-up might be the only solution left. Sorry: this has nothing to do with doing-over the financial crisis of late 2008-2009 to get another chance to deal with it right, even only as it hit Belgium. Rather, I noticed from a piece by Bert Broens in that nation’s business newspaper De Tijd that two of the biggest domestic banks, KBC and Dexia, will have undergo so-called “stress tests” all over again right after they thought they were done with all that. What these “stress tests” are all about is an auditing exercise whereby banks’ balance-sheets are subjected to a standard scenario positing a business downturn, meaning theoretically that more people would not be able to pay back their loans, there would be lesser demand for new loans, and the like, and so you see how the bank would do in such a situation – first of all whether it would even stay solvent and so survive (at least without receiving some sort of state aid). And, as stated, both these Belgian banks already did the exercise and came through it with OK results. But the whistles have sounded and the competitors are being directed back to their starting-blocks to do it all again, and for a good reason: those previous stress tests did not include checking for any situation in which government bonds held by the banks might not be fully repaid. That’s rather an important omission: we’re talking in particular Southern European (or PIGS, if you like) government bonds here, and KBC Bank alone has €60 billion worth of them in its portfolio. How then could anyone have considered the previous stress tests, which did not account for those public obligations, anything but a waste of time? Well, many cynics (or call them analysts) have felt that the real purpose of such tests was in the first place as a propaganda exercise meant to return a comforting “All OK!” for each such bank tested to calm investors’ and markets’ fears. This whole “stress test” idea was taken over in the first place from the American financial authorities, who performed them on the big American banks in spring-summer of last year, and ongoing coverage particularly from the Naked Capitalism financial weblog not only blew the whistle on that American exercise but also has found serious flaws in the European stress tests happening now. In fact a major complaint (also put forward in a related financial blog here) about the validity of the European tests was their alleged failure to take into account such sovereign risk. Broens’ piece shows that that at least is not happening in Belgium, although he doesn’t say why, like who decided to make these exercises a bit more bona fide and call back KBC and Dexia to do them “right.” His language is in the passive tense – “in the meantime it has been decided to expand the test” – although one first guess would have to be the Belgian financial authorities. UPDATE: A new entry on Naked Capitalism tacitly concedes that these European “stress tests” will in fact include banks’ exposure to sovereign debt in their calculations. It then goes on to sketch the great worry resulting from that: What happens when these more-honest tests reveal that too many banks in fact stand in need of more capital, possibly from governments which in many cases are no longer in a position to provide the same? Starbucks: there have already been whole books written about this international marketing phenomenon, and that should be no surprise. Perhaps only George W. Bush himself better illustrates how a product, however average, can successfully be sold to the masses if you just have the ad money to spend and get the promotional campaign right. For me, Starbucks’ success in making an outright fetish out of coffee – so that people are willing to line up at a counter to spend on the order of $5.00 for a single cup – is emblematic of the American go-go years of not so long ago, before the big Crash, as innumerable people stuck a Grande Caffè Mocha into the drinks-holder of their SUV as they set off to visit the properties they had bought no-money-down to “flip” for a profit as soon as possible. As I noted in this previous post, July 21 – yesterday – is each year the Belgian National Holiday: think along the lines, for example, of the 4th of July in the US. Except that yesterday in Belgium the occasion was more like America on 4 July 1860: then, Abraham Lincoln had just been nominated to be the Republican Party candidate for the upcoming presidential election in November, and it was evident that, while he had a good chance of sweeping the more-populated Northern states with his party platform forbidding any more slavery in US territories, nobody in the South would vote for him. Indeed, if he turned out to win the presidency nonetheless (which of course he did), there was very likely to be serious trouble, yet it was hard to think of any alternative scenario by which the presidency could be won by any of the other candidates, each of which were politicians backed by yet-narrower sections of the country. Likewise, there was precious little of any “national” nature to be celebrated in Belgium on its “National Holiday” yesterday, even as one can assume that any similar implicit prospect of violence does not apply in this modern case. Verhofstadt for Next EU Commission President? Time to consider the portrait of Belgium presented in the Danish newspaper Politiken’s “Europa XL” series of cultural treatments of EU member nations, as submitted by respected literary figures of each such nation. The writer in charge for Belgium is the Belgian fiction-writer and translator Paul Claes – or rather, the Flemish fiction-writer and translator, i.e. one who writes in and translates into Dutch and so not into the French language spoken by around half of his countrymen, mostly in the south of the country. And I’m afraid that we start off on the wrong foot in our quest for impartiality and an even-handed cultural treatment, since Claes’ last-name is truly an ultra-Dutch one (in the sense of the language’s history). That “ae” vowel combination lying at that name’s heart, which merely signals the “long a” sound, is a relic from old Dutch spelling, used much more these days for Belgian names (both of people and places) than Dutch ones.